The Insider inverts the usual Michael Mann formula, in that its story is about two noble lone wolves being hunted by, rather than on the trail of, shadowy villains. In this case, those men are whistle-blower Jeffrey Wigand (Russell Crowe) and 60 Minutes news producer Lowell Bergman (Al Pacino), whose efforts to run a story in which Wigand confidentiality reveals agreement-protected secrets about Big Tobacco make them targets of the cigarette conglomerates. Nonetheless, Mann’s thrilling 1999 drama remains a story of pursuit, albeit not of an individual but of an ideal—the truth—and of the fight required to make sure that the press champions it above all other concerns. Consequently, while it features none of the chases, shoot-outs, romance, or urban neo-noir atmosphere of the director’s most famous works, it’s still perfectly in tune with its canon-mates, rooted as it is in a portrait of two men set apart from their contemporaries (and the world) by their fierce adherence to bedrock principles. 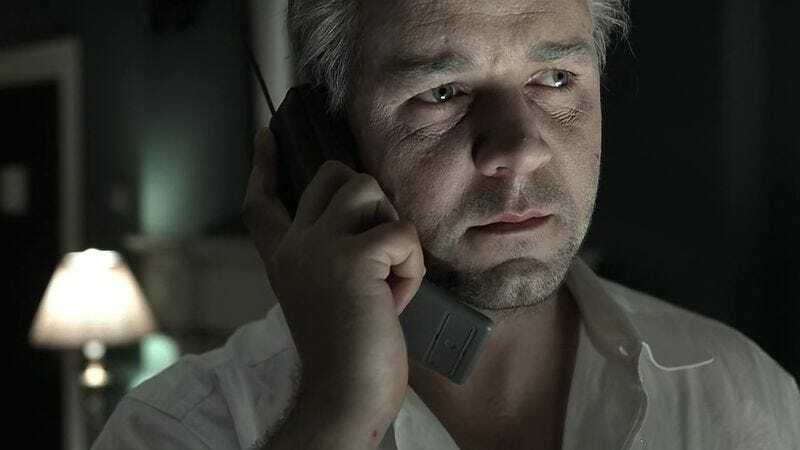 While it might not have the crime-genre trappings of Manhunter or Heat, The Insider is a consistently taut beast, generating sustained suspense from its detailed dramatization of the hurdles—and moral dilemmas—faced first by Wigand as he decides to expose damning facts about his former employer, and then by Bergman once Big Tobacco’s legal threats put his story’s broadcast in jeopardy. Mann embellishes his material with subtle expressionistic touches (a shot of raindrops sliding down a car window; a panorama of Bergman standing small and alone in the ocean surf), and his expert framing routinely expresses his characters’ solitude at a personal/professional precipice. As assured as its director’s stewardship, however, are The Insider’s performances. Aided by a strong supporting cast, both Crowe and Pacino are stellar as the film’s joint protagonists, with the former’s internalized grief, fear, and bravery matched by the latter’s intense bluster and righteous indignation. In their expert care, Wigand and Bergman become twin examples of courage under unbelievable fire, and their story one whose relevance is as vital as ever. Availability: The Insider is available on Blu-ray and DVD, which can be obtained from Netflix or your local video store/library.